Today on the Datanauts we tackle Virtual Desktop Infrastructure, or VDI. Our guest is Johan van Amersfoort, Technical Marketing Architect and EUC specialist at ITQ Consultancy. He’s author of the new book VDI Design Guide. Johan and the Datanauts explore the business requirements for undertaking a VDI project, including reducing OpEx, improving security, and addressing the challenges of a mobile workforce and BYOD. 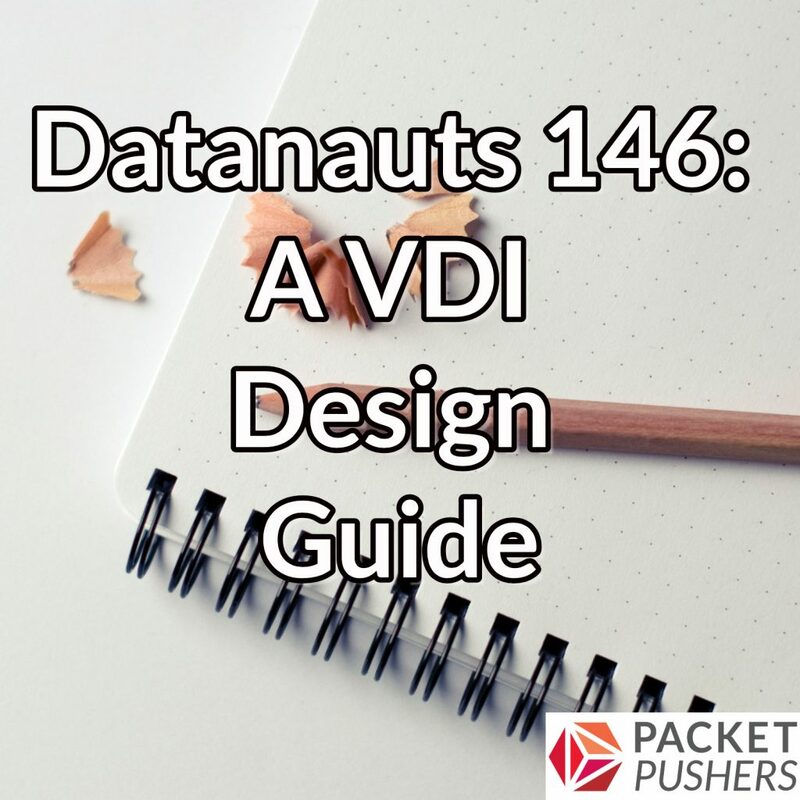 They review potential gotchas in a VDI design, and then drill into the elements your design must account for, including the network, CPU and RAM, host sizing, and failover. In part three, Johan discusses how to handle remote users, whether to run AV, and identity and access control issues. Join ITProTV to learn the skills to pass the most in-demand IT certs. It’s binge-worthy learning! ITProTV’s extensive course library includes CEH v9, CISA, CompTIA A+, Mac Certified Support Professional, and more! Visit itpro.tv/data and use code DATANAUTS to try it FREE for 7 days, and receive 30% off your monthly membership for the lifetime of your active subscription.